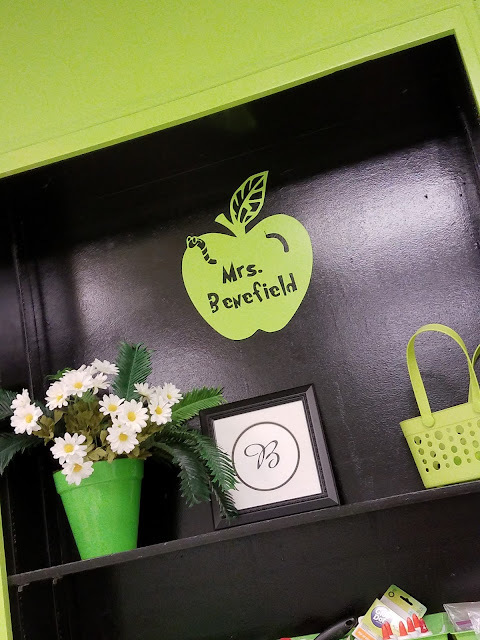 Decorating our classroom, to me, is something that I enjoy each year. I like making a room inviting and colorful for my students. Already this year, I have had students comment on our classroom decorations. My goal this year was to keep it simple by using the same color scheme as last year, but I wanted to change things up slightly. 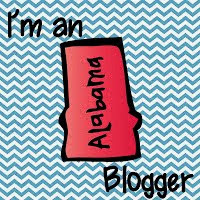 By doing this, I was able to save time and money which to me is a win-win! I am very pleased with the outcome, and I hope you enjoy this peek into my classroom. Cactus themed motivational bulletin board. I love how my motivational board turned out! 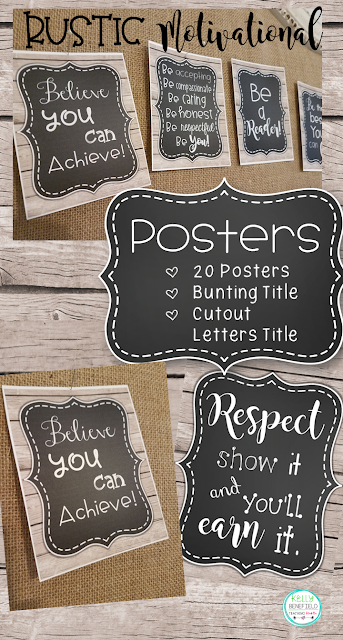 This set of motivational posters are available in my TpT! Find them here. This is my reading nook and classroom library. Above this nook is my focus board where I will post the reading skill and focus strategy for each week. 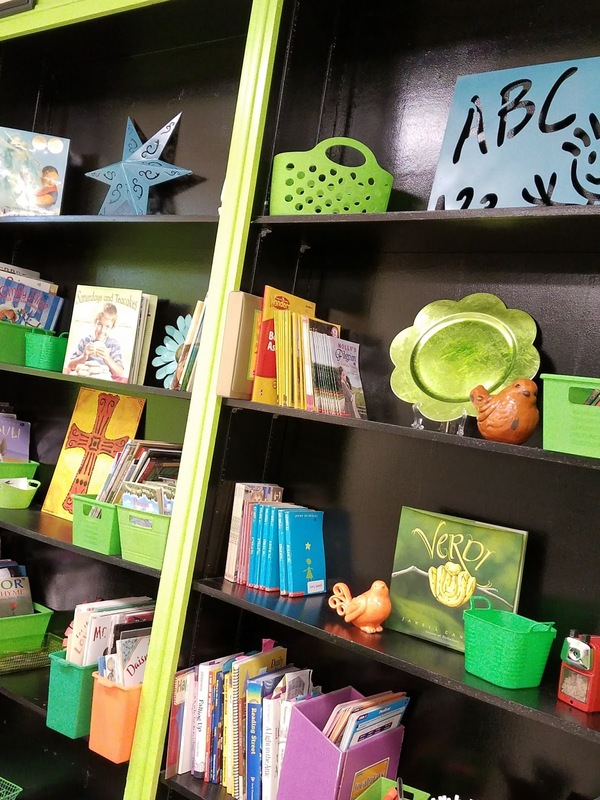 With the beginning of the school year racing toward us, teachers are in high gear getting their rooms and materials ready for a new group of kiddos. One important part of preparation is having a plan for classroom rules and procedures. We want students to know our expectations and meet those expectations so that our classrooms will run smoothly this year and our precious students will have an opportunity to have a wonderful year. Here are four ideas for establishing those rules and procedures. We know that simply telling students that they should be "good" is not going to "cut it" in the classroom. Students need specific guidance. To help students understand and to give specific guidance, I chose one adjective to describe my expectations. The word that I chose was "calm." On the first day of school, I simply spoke to my students about my expectations for them. I told them that I like a calm classroom. Even when we are working with groups or partners, having a whole group discussion, or even walking down the hall, I expect my students to be calm. We can still have fun, play a game, or do group work while behaving in a calm manner. We talked about what calm looks like, sounds like, and acts like. Of course, every teacher is different. 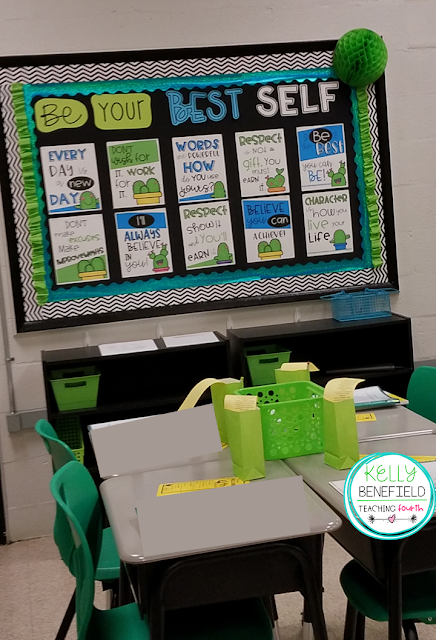 Your classroom and personality may be different from mine, and that's ok. Perhaps you want to choose another word to focus on such as "respectful" or "kind." You could even have more than one! Think about your expectations and choose a specific adjective or two that works for you and your classroom that will help guide your students to excellent behavior. Actually take the time to model expectations for the students. Explain to the students what each activity should look like and sound like, then practice, practice, practice. Practice transition times. Practice restroom procedures. Practice exchanging classes and getting materials together. We actually do this in my classroom. Our grade level exchanges classes, but we don't exchange the first day or two. This gives us some time to practice. I actually take time to practice how to exchange, how to get materials together, how to line up, and how to stand in the hall to wait to walk to the next class. Practice lunchroom behavior, etc. Begin the first day of school, but continue to model throughout the entire year. 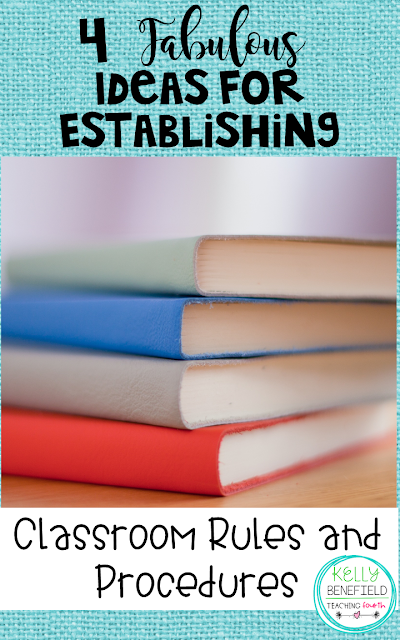 Your students will still need reminders throughout the year. 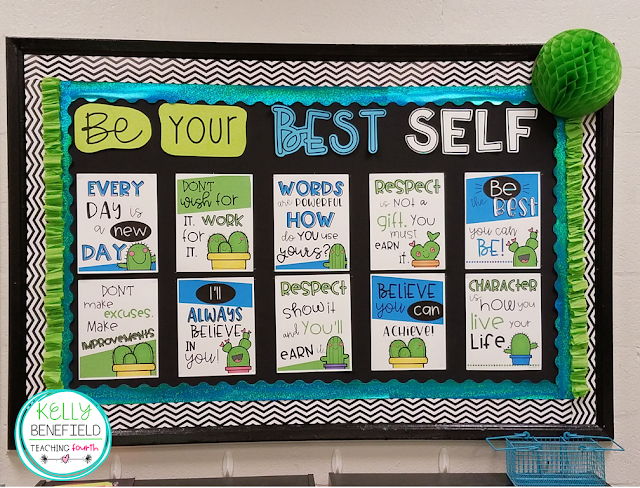 Post your expectations or rules in your classroom so that students will have a visual reminder of classroom expectations. Students need these visual reminders daily. Charts, posters, or bulletin boards can provide this. I personally prefer to use motivational posters instead of classroom rules. I like how motivational posters remind students in a positive way and challenge the students to be their best. As an added bonus, they serve as motivation for myself as well. Sometimes I need a little reminder, too. Whether you use motivational posters or classroom rules, expectations should be posted as a visual reminder for your students. 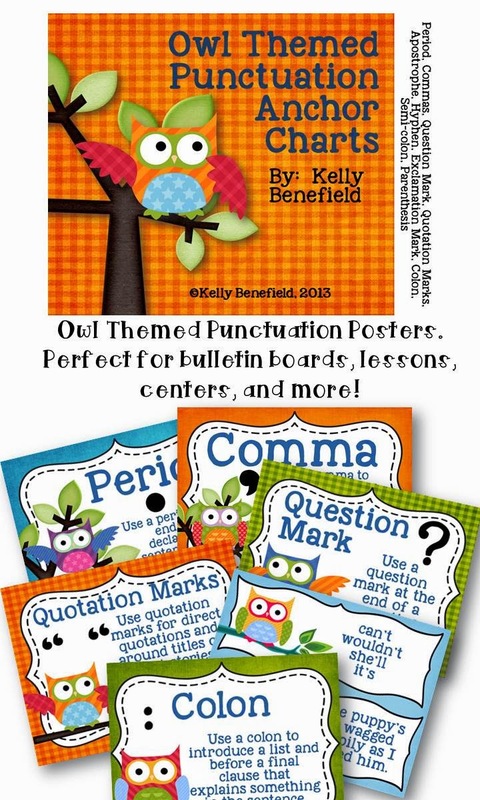 Here are a few examples in my TpT store that you may love! These Farmhouse Themed Motivational Posters are perfect for encouraging positive behavior as well as adding a rustic touch to your classroom. We cannot explain classroom expectations only on the first day of school, never mention them again, and expect our students to follow them perfectly throughout the rest of the year. That will just not work. Students will need reminders of your classroom expectations, whether it is part of a daily morning routine, a read around the room activity, or a daily or weekly discussion of behavior expectations. We all need reminders now and then.